All OAKS AT BOCA RATON 8 homes currently listed for sale in Boca Raton as of 04/21/2019 are shown below. You can change the search criteria at any time by pressing the 'Change Search' button below. 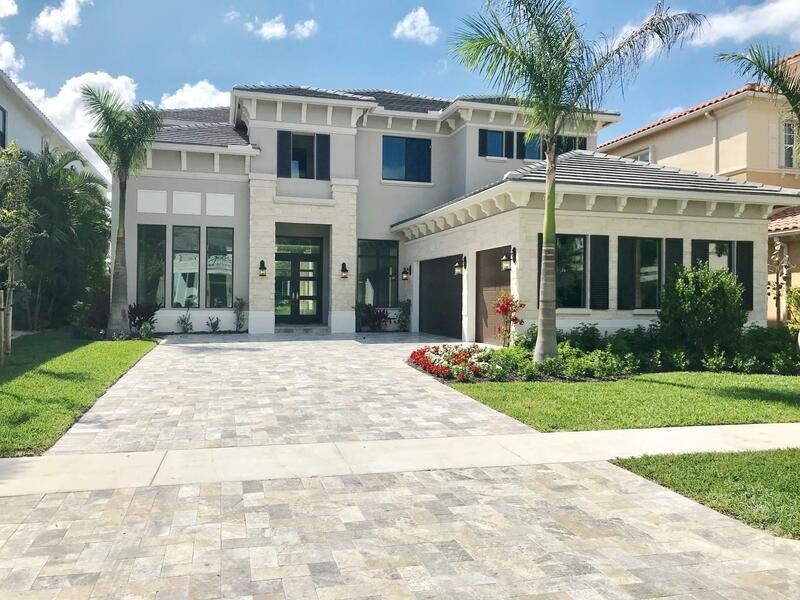 "Recently completed (2019) new construction stone elevation Cheval (C) with serene wide lake views and new home warranty. Stone elevation, travertine driveway and solid mahogany entry door enhance the curb appeal of this custom Cheval floor plan. Clean lines, abundant natural light and current finishes add to the appeal of this incredible new home. A grand two story entry is flanked by a generous formal dining room and library with large picture window. The expansive kitchen boasts custom quartzite countertops/backsplash, stainless Wolf and Sub Zero appliances, oversized island, walk-in pantry and incredible lake views. A generous first floor guest provides French Doors to the serene outdoor area with custom pool with spa and sun-shelf."